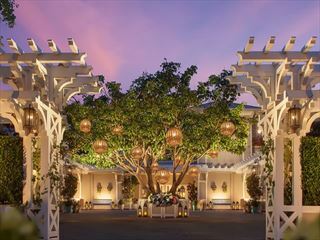 The St Regis San Francisco is a luxurious and historic hotel in the sophisticated SoMa district of the city. Offering upscale accommodation and world-class facilities, the hotel is ideal as a base for exploring the best San Francisco has to offer. With a Michelin Star restaurant on site as well as a full-service spa, you’ll find every opportunity to relax and indulge during your time here. Cool off in the lap pool, enjoy the stunning views from your bedroom or just get out and enjoy the city – you can’t go wrong. The sophisticated and contemporary design guest rooms are decorated in a palate of soothing hues of cream and white, with design features such as sleek window seating and entrance foyer with leather-textured walls. Based in the SoMa district at the heart of San Francisco, the hotel is perfectly positioned for a relaxed stay at the centre of the city. 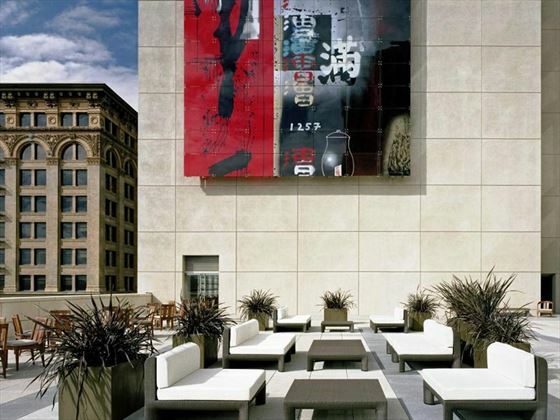 You’re right next door to the San Francisco Museum of Modern Art as well as a huge array of restaurants and bars.